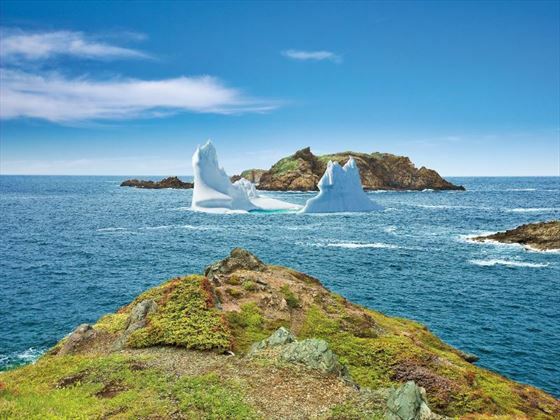 On this escorted tour you will experience the striking landscapes and fascinating history of the province of Newfoundland and Labrador. 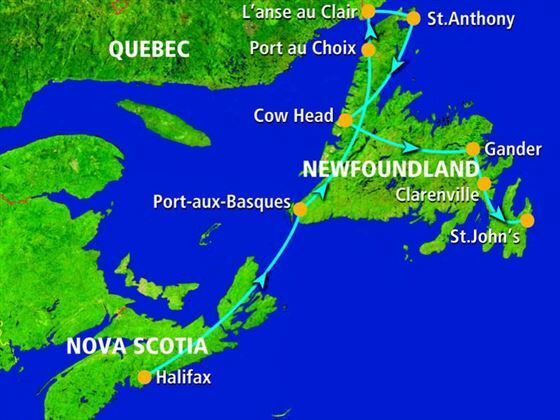 The tour actually starts in the capital of Nova Scotia, Halifax, and then continues across the waters of the Atlantic to the island of Newfoundland. 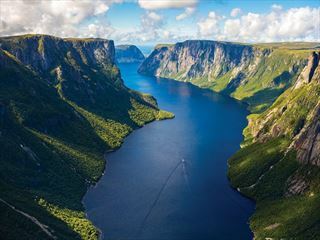 Here you will find stunning natural sights and intriguing historical sites, including Gros Morne National Park and the UNESCO World Heritage Site of L’Anse aux Meadows Viking archaeological grounds. 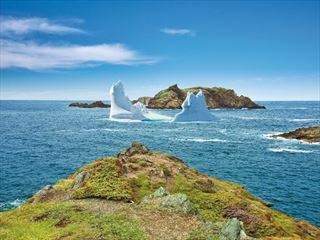 On this tour you will stand at the northern-most tip of the island of Newfoundland and journey to the eastern-most point in North America. 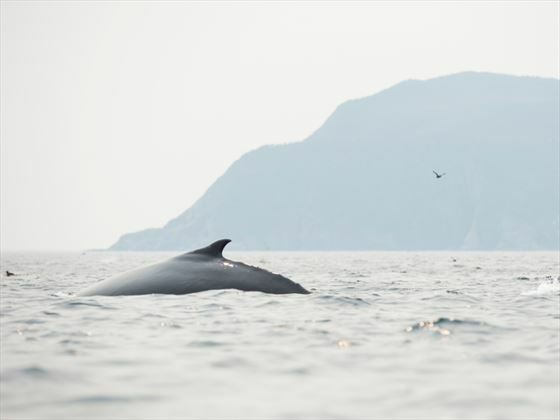 You’ll have the opportunity to see whales, sea birds including puffins and eagles and perhaps even icebergs in the early summer. 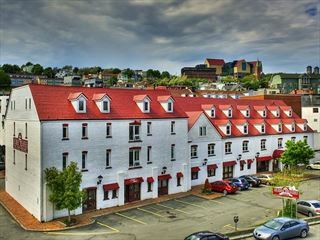 Arrive Halifax and transfer independently to your hotel. This evening meet your travelling companions at an evening welcome reception. Today board the ferry at St Barbe and cross the strait of Belle Island on the way to Labrador. Visit the Red Bay National Historic Site, location of a Basque whaling station in the 16 century. Breakfast & dinner included. 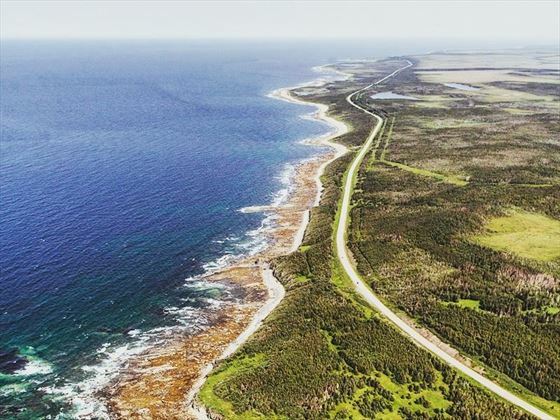 Return to Newfoundland and travel to L’Anse aux Meadows National Historic Site, an archaeological site marking the earliest known European settlement in North America. This UNESCO World Heritage Site gives a fascinating glimpse into the Viking lifestyle. Breakfast & dinner included. 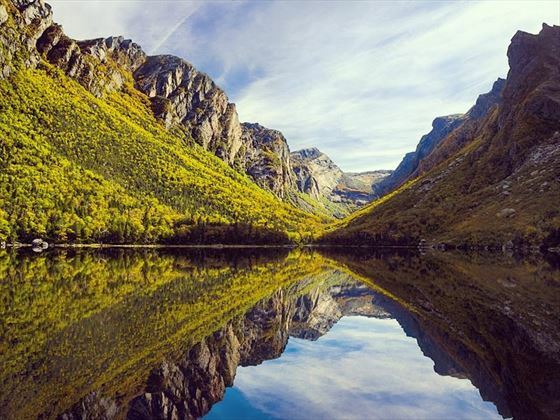 Today you’ll visit Gros Morne National Park, filled with a rich variety of scenery and wildlife. Embark on a scenic boat tour (weather permitting) on which you’ll learn about the geology of the Tablelands, see whales and bald eagles and discover the history of the small villages nestled along the shores. Breakfast, boxed lunch & dinner included. 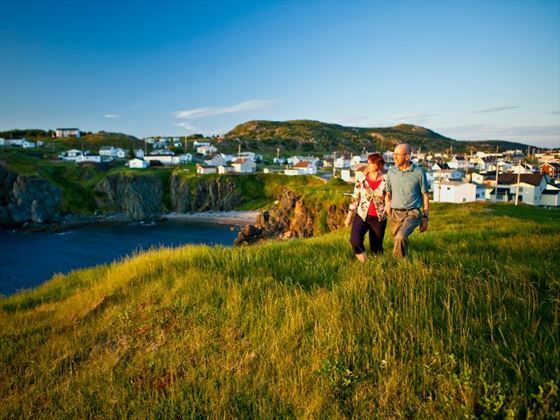 Take the scene drive along the coast of Notre Dam Bay into the beautiful town of Twillingate. At the tip of the island, visit the Long Point Lighthouse. Return to Gander and visit the North Atlantic Aviation Museum. Breakfast, lunch & dinner included. Today’s route is along the Trans Canada Highway through the Terra Nova National Park, the most easterly of Canada’s national parks. You can spot wildlife on the way, whilst admiring the scenery. 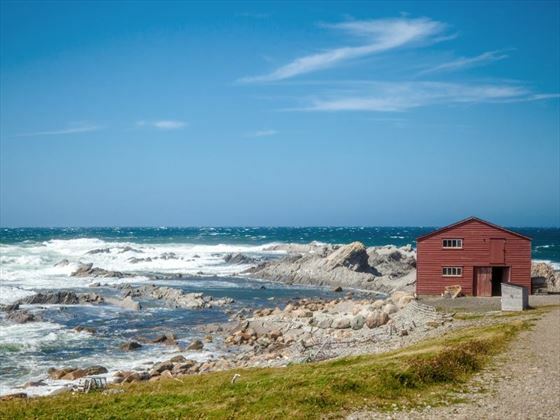 Visit Cape Bonavista Lighthouse Provincial Park and the charming town of Trinity. Breakfast, lunch & dinner included. A highlight of the whole tour, today travel to Bay Bulls for a boat tour in the Witless Bay Ecological Reserve (weather permitting) to spot puffins and other seabirds. 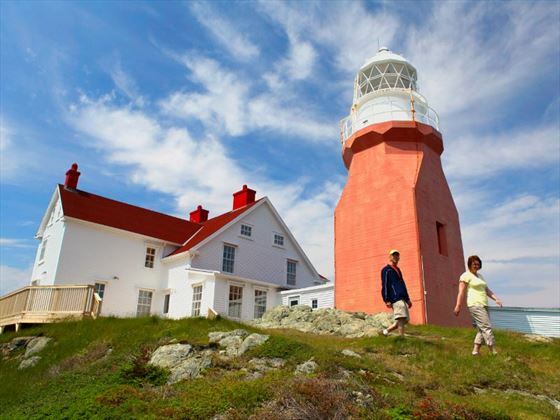 Then visit Cape Spear National Historic Site, the most easterly point in North America. 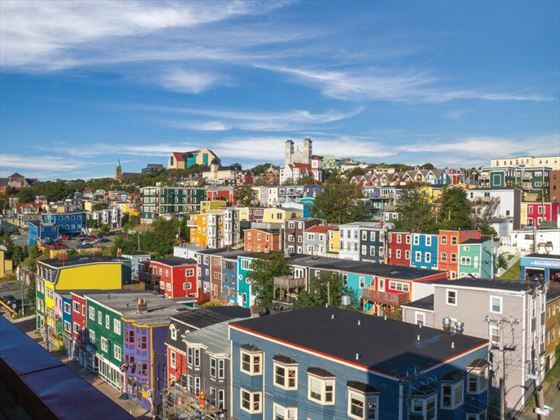 You have free time this afternoon to explore the delightful neighbourhoods of St John’s. Breakfast included.